Join one of the fastest growing industries in Hampton Roads. 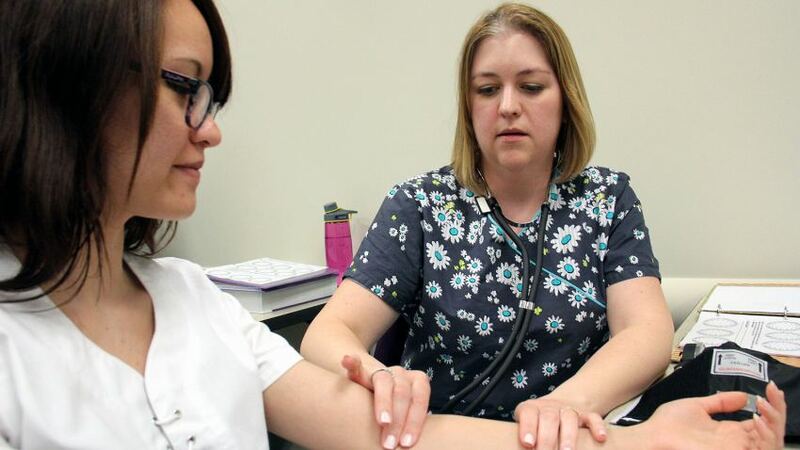 Health services is one of the fastest growing industries and medical assisting is the sixth fastest growing job in the U.S. according to the Department of Labor. The Certified Medical Administrative Assistants (CMAAs) certificate program, will qualify you for entry-level employment in hospitals, clinics, or physicians’ offices as a medical secretary, medical office assistant, medical office receptionist, medical services secretary or medical records file clerk. NHA-CMAA study guide book, online practice tests, and NHA-CMAA one exam voucher included. This course will prepare students for a career as a Medical Office Administrative Assistant. Students will learn the various office procedures, how to process and access patient information, as well as basic billing information. Learn to pronounce, write, define and use medical terms properly. Gain knowledge of medical terminology and abbreviations through a systems approach, focusing on the integumentary, skeletal, muscular, nervous and cardiovascular systems. Learn to pronounce, write, define and use medical terms properly. Participants gain knowledge of medical terminology and abbreviations through a systems approach, focusing on the lymphatic, immune, respiratory, digestive, urinary, endocrine and reproductive systems. Individuals will learn the computer concepts needed to work as a Medical Administrative Assistant. This course will cover topics in windows, word, excel, and outlook. Students will also get a basic understanding of electronic health records. This course will prepare students to take the National Healthcareer Association’s Certified Medical Administrative Assistant exam.